Home > Hairfinity Blog: Healthy Hair Tips > Hair Care > How Strong Is Your Hair? Would you consider your hair to be strong? 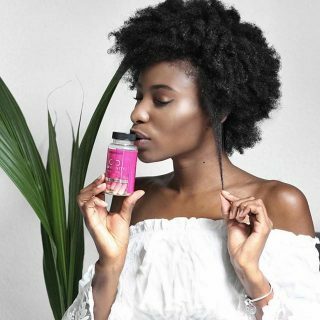 You may have found yourself wondering if your hair is strong enough to withstand certain products, hairstyles, or even certain activities without breaking. 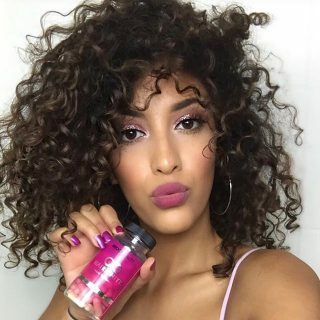 Who doesn’t want strong hair that looks and feel great? One thing to recognize is that your hair is limited based on its tensile strength. So, what is tensile strength? Hair Tensile strength tells how much your hair can stretch before it breaks. Think of it as a test of your hair’s ability to “bounce back.” The more elastic your hair is the more ability it has to stretch without breaking when wet, brushing, combing or handling. Hair with high tensile strength actually acts similar to a rubber band when stretched returning back to its shape. However, when hair’s tensile strength is weak, it can very easily break with the same pull. Being able to evaluate your hair’s tensile strength is essential to achieving and maintaining the healthy hair. Tensile strength can be affected several factors including damage from heat, harsh chemicals such as relaxers, perms, and dyes, or even sun damage. Such damage can leave the hair’s cortex weak and unable to bounce back. What’s wrong with a little heat? The problem with this thinking is that most times heat is applied in unsafe temperatures that contribute to damaged tresses. Heat from blow dryers, curling irons and flatirons can spell disaster for hair whether it is chemically treated or not. When heat is directly applied to hair, you risk damage to the hair shaft and can permanently alter protein bonds. The strength and elasticity of the hair strands have been impaired from this process as a result. This is when you start to see little hairs on the counter from breakage. It is advised to use heat sparingly and at safe temperatures in order to maintain strong and healthy locks. The sun provides what we need naturally, right? Not in this case. The sun, when there is too much exposure, is not kind to hair. The sun’s harsh rays actually contribute to hair becoming brittle and less resilient. The sun’s damaging UVA and UVB rays can cause damage to the hair shaft resulting in brittle strands leading to breakage. This is why the hair should not be exposed to the sun’s rays for extended periods of time. So be mindful of those locks while sun bathing at the beach. Does processing hair affect how strong it is? It actually does adversely affect hair’s tensile strength. A very critical factor for hair strength can be determined by the products that you use on your hair. We seem to take for granted that our hair may have seemingly remained strong despite the use of harsh chemicals such as relaxers and dyes. The fact of the matter is that over time, the hair starts to show signs of damage and results in weak and brittle strands. 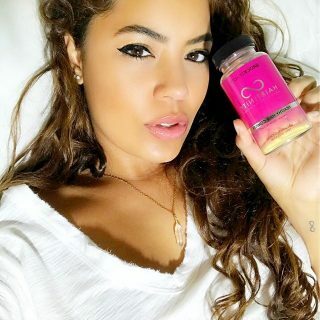 Consider the processes of relaxing or bleaching the hair using chemicals which permanently breaks down or alter the protein bonds that give hair its strength. When hair is handled when wet and chemically processed, the results are even more damaging. Handling wet chemically processed hair should be done with care to avoid breakage. Tearing through the strands carelessly will only result in breakage. It is also recommended to keep a good balance of protein and moisture to keep hair as strong and vital as possible. Exactly how does wet hair affect the tensile strength? When the hair is wet, tensile strength is actually temporarily altered. It’s probably not a big surprise to most that when your hair is wet it is more vulnerable, making it more prone to breakage. When hair strands are wet, the keratin is affected, which allows for less elasticity. The keratin, or protein, is what makes the hair strong, however it cannot be dissolved in water. Since the hair is made up of keratin, it makes sense that it’s ability to remain strong is negatively effected. So after examining the factors that contribute to your hair’s tensile strength, you have an idea of how to achieve stronger and healthier strands. Protecting your hair from outside factors play a huge role in the overall health of your hair. Keep in mind that taking daily steps to combat damage can mean a world of difference, and eventually your hair’s appearance will serve as your reward! Want to know your hair’s tensile strength? 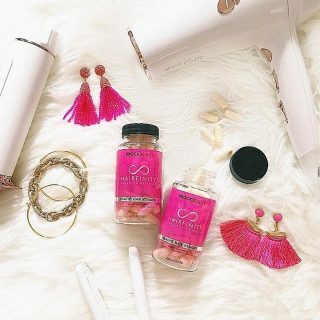 Hairfinity offers several tests that can help you evaluate the condition of your hair, including a Tensile Strength Test. How does it work? After ordering the Tensile Strength Test, expect a kit to arrive with instructions on how to send in your hair sample. 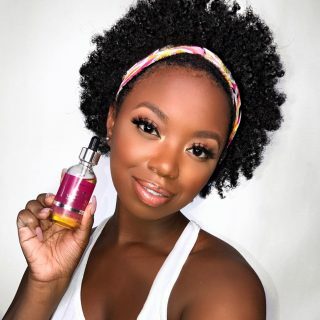 Once the sample is received, your hair will be tested, and a report on the condition of your hair will be created along with a customized plan of action to address your hair concerns. Test results and hair care plan are detailed, easy to read, and include hair care tips and product recommendations. Determines how much tension your hair can handle before it breaks. Determines the hair diameter (thickness/thinness) so you know how to properly care for your hair. We also take it several steps further with products that are proven to reduce breakage by up to 95%. 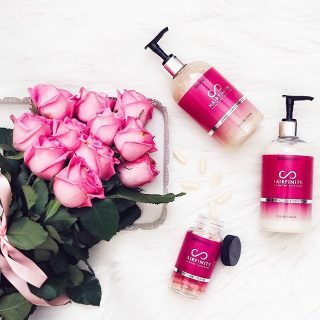 Hairfinity’s “Pure and Proven” Advanced hair care system replenishes your hair to bring it back to life while leaving out common ingredients that are known to cause hair damage.